Pal Maribeth first introduced me to this wonderful pizza. I love the combination of flavors and how easy (and relatively healthy) it is! The recipe can be modified to be vegan or gluten-free. I baked the pizza on my pizza stone and found the baking time doubled. 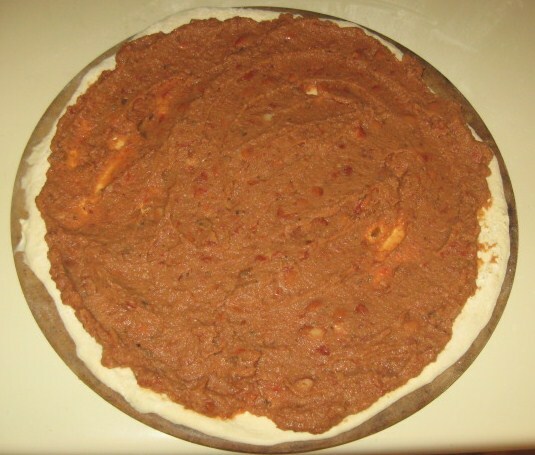 Bake until the bottom of the crust is light brown before removing from the oven to add the toppings and bake again. 1. Heat oven to 450 degrees. Mix beans and 1/2 cup salsa in a medium bowl. Place crust on cookie sheet, then spread the bean mixture over crust. Bake until crisp, about 10 minutes. 2. 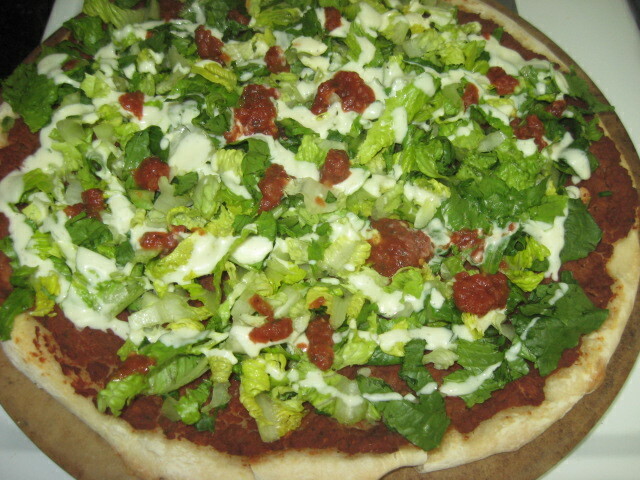 Remove from oven, top with lettuce and green onions. Dollop with remaining salsa. Drizzle ranch dressing over. Top with chips and cheese. Bake approximately 2 minutes longer until cheese melts. 3. Cool slightly. 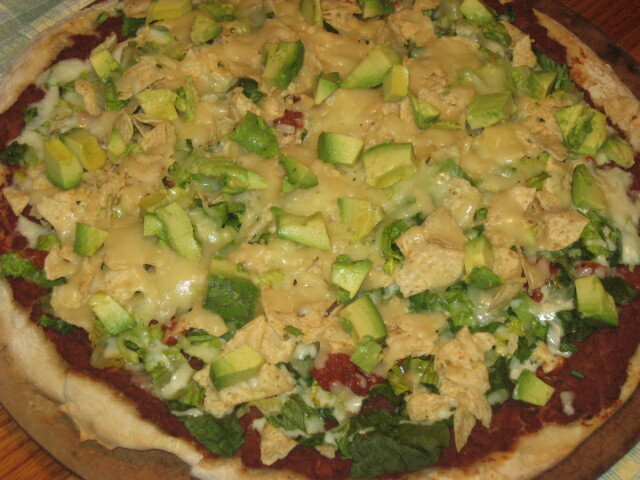 I added fresh chopped avocado to the top with bowls of sour cream and salsa to add as the guests desire. Slice and serve.